It is reported that officers investigating the murder are following a definite line of inquiry. Garda and forensic officers at the scene off Blackhorse Avenue in Dublin, where the body of a woman was found murdered and dumped on the street in a suitcase. GARDAÍ ARE CONTINUING to investigate the murder of a young Malawian woman whose body was found in a bag on a street in north Dublin on Sunday morning with it reported that they are now following a definite line of inquiry. The woman, 26, is named in most of today’s newspapers although gardaí have said they will not release her name until relatives have been informed. RTÉ’s reports that officers investigating the murder are now following a ‘definite line of inquiry’ having sealed off a flat in Aughrim Street around a kilometre from Blackhorse Avenue where the body was discovered. Gardaí have appealed for anyone who may have seen any unusual or suspicious activity around the area of Blackhorse Avenue, the North Circular Road, Prussia Street and Aughrim Street to contact them. It is believed that the bag may have been left on Blackhorse Avenue on Saturday evening, the night before it was discovered. 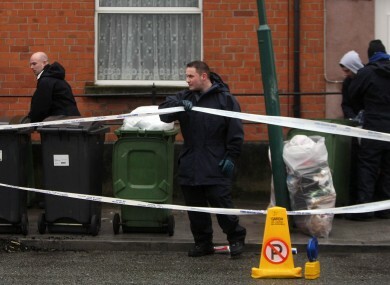 The woman, who was fully clothed, was believed to have been living in Rathmines. A post mortem found that the woman, who had a plastic bag over her head, died of asphyxiation. Her body was found in a travel bag on the pavement at St. David’s Terrace on Blackhorse Avenue at about 8.30am on Sunday morning. Email “Gardaí continue investigation into Malawian woman's death ”. Feedback on “Gardaí continue investigation into Malawian woman's death ”.